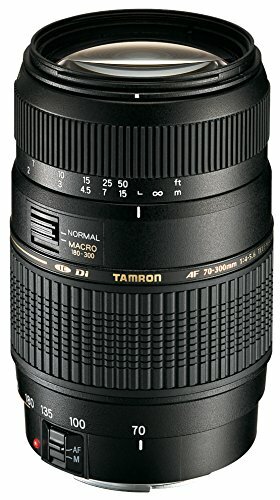 The first thing is to have a SLR (reflex) camera with interchangeable objectives, to use those with angles between 16mm to 24mm. 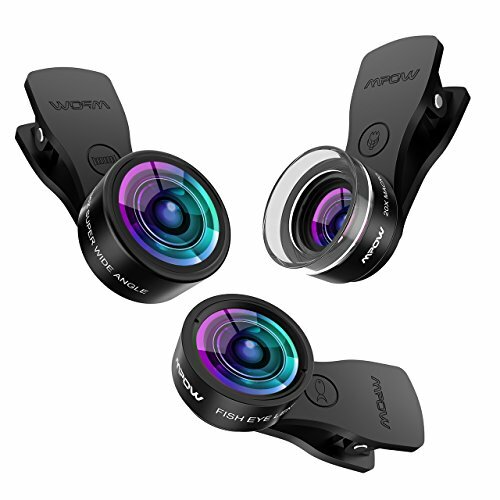 You can also get special lenses to adapt to your smartphone. While largest, you’ll be able to capture more of the landscape before your eyes, like you were joining many photos on a panning. 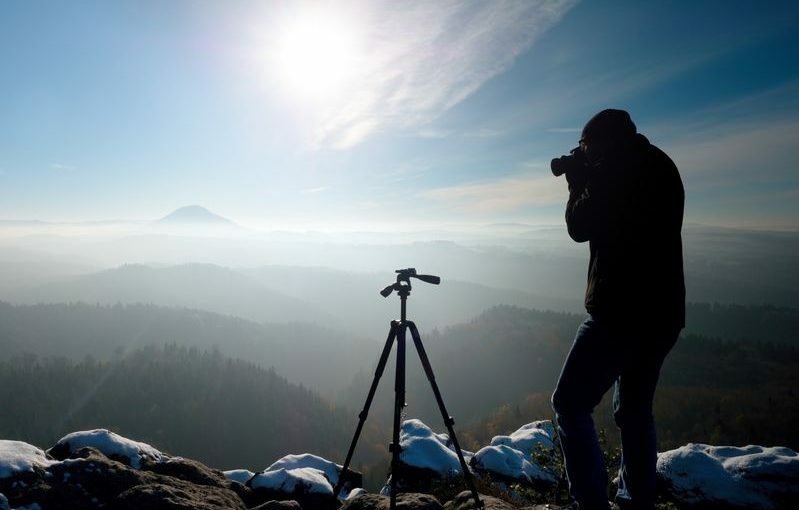 The following to take perfect landscape pictures is to have a tripod to gain in sharpness, especially if you are about to use diaphragms from f/11. This type of diaphragm-closed photography captures less light and leaves longer the shutter open, so if trust your pulse there is a good chance that the picture became moved and blurry. Only that way you can focus your landscape in all its details, increasing the field depth. Try not to increase ISO too much to compensate for the light lose in closed diaphragm, or the image will be grained. 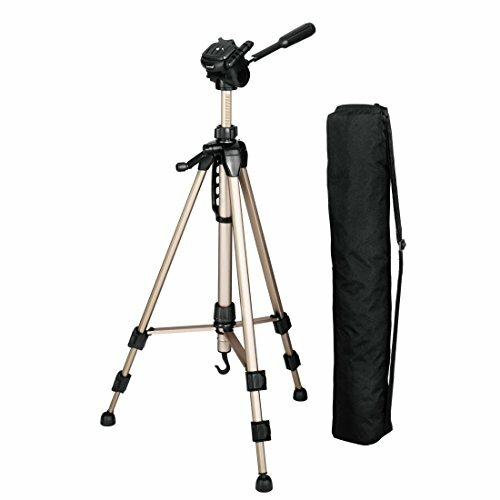 Again, here the tripod is your best friend, increasing the exposure time. Look for the ideal light has to do with the time of day. Minutes before the dawn and after sunset are perfect, since everything stains of gold and the light is more diffuse, giving soft shadows. Yes, it is a landscape photo… but if you place a protagonist, your picture wins in charisma. Don’t have to be a person: a boat, a bird, a dog, a rock… a protagonist is any element that gives interest and reinforces the portrayed landscape. If mountain hiking has a distinguished space in photography, is its ability to offer monumental nightly photos. 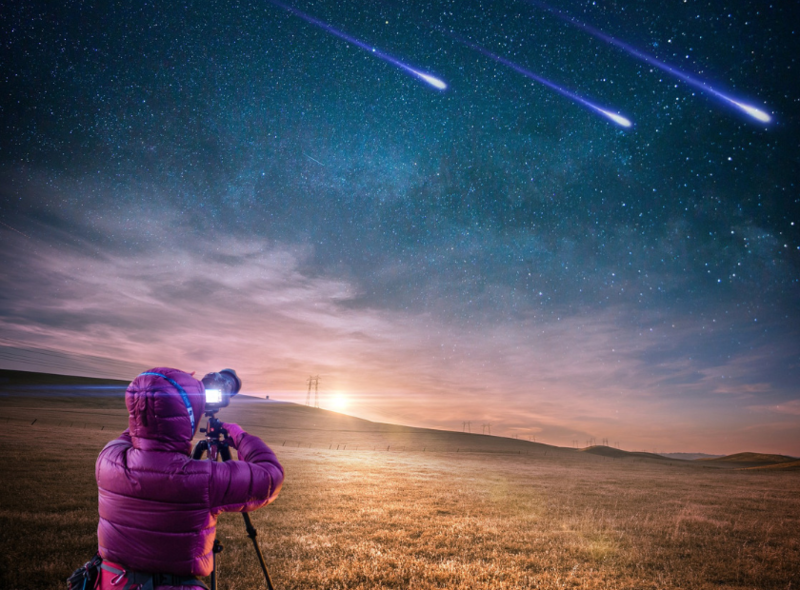 This is because in these remote landscapes there is little light pollution induced by the large cities, which projects its lights to heaven lighting the atmosphere, which leads to bad night photos. Photography at night offers great challenges, as you have to adjust the camera with very little light, it’s hard to focus and most of the time in mountain trails you will have to do all this in the cold. 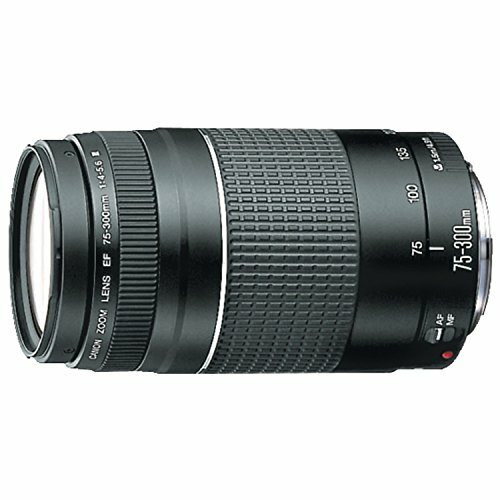 To have better results, use a lens of minimum opening f/2.8 instead of f/3.5 – 5.6 that comes in almost all cameras. More opening, less ISO and less exposure time and you will get really static stars. Although the full moon is not good for night photos, perhaps you will want to include it in your frame, so consider which moon phase you will get during your hike. If you want your sky blue, set your camera at a color temperature between 2500º and 3500º Kelvin. With more than 4000º, the sky is likely to be orange. Talking about temperature, as the camera tends to warm during long time exposure, winter is the best ally of your night photos. Make all shots in RAW format: although it gives larger size files, you will not lose in quality. Remember always to use flashlights at night, not only to light up the way but to focus or light painting, which gives really cool photos. For night photos with a mobile make sure that ISO is between 50 and 100. To do this, choose manual shooting mode on the app of the camera, and set ISO sensitivity. 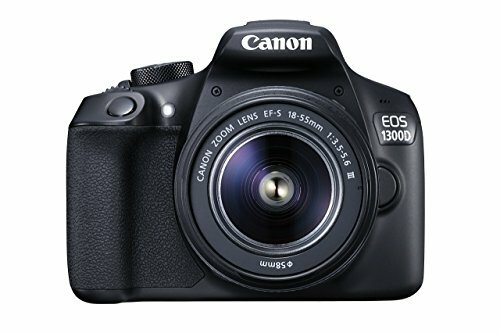 This is the main plate of night photography. You should always use ISO and exposure times high with low opening: for moonless nights, recommendation is starting with ISO 3200 f/2.8 and 30 seconds to ISO 100, f/2.8 and a 960 seconds exposure. A very pretty technique is taking photos of the stars movement or even polar spirals, if you set as the center of the composition the North Star: Google Sky map can locate it in a heartbeat if you are not an astronomy expert. You can achieve these movement effects of with very long exposure times, or taking several pictures and join them in a star trail. 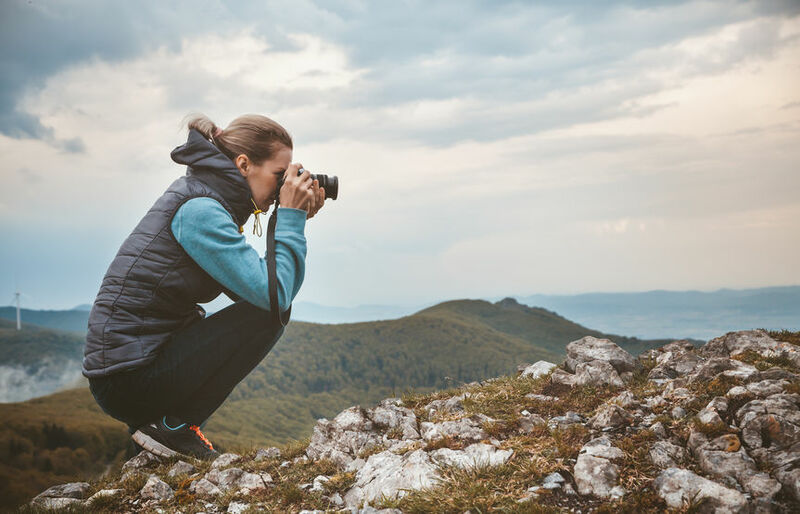 Although a mobile or a compact camera can do the trick to take a souvenir of our mountain hike, the reflex camera is the best friend of the nature photographer. 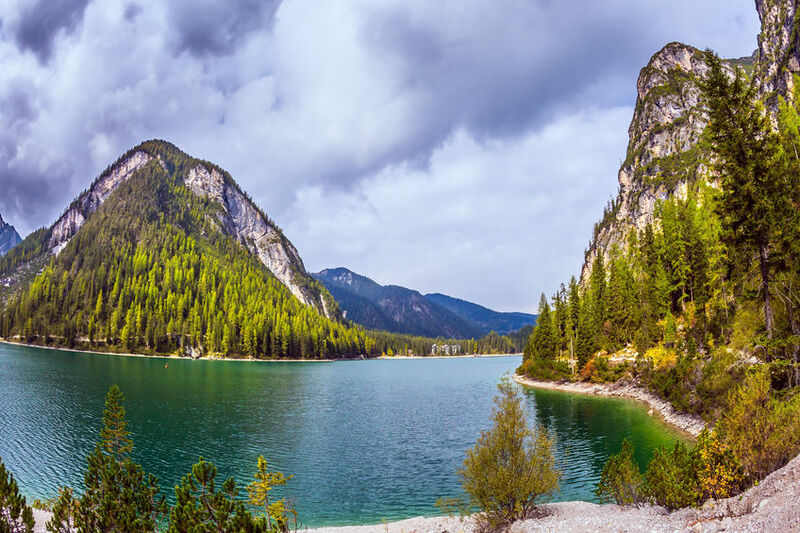 The details of the necessary optic depends on the type of photo that you want to take, but always we must have in mind that we must do a difficult walk and the extra weight of the equipment can spoil the fun part of mountain hiking. To travel light, it is best to carry a SLR camera with a multipurpose lens of 24-105mm or even 28-300mm for camera with full format. 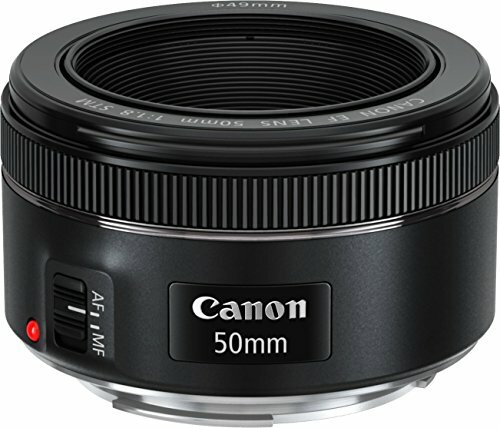 Its 500-600 grams weight and sufficient range focal to take landscapes or off-focus pictures makes them ideal. Please note that the more focal range the less quality will have the image. 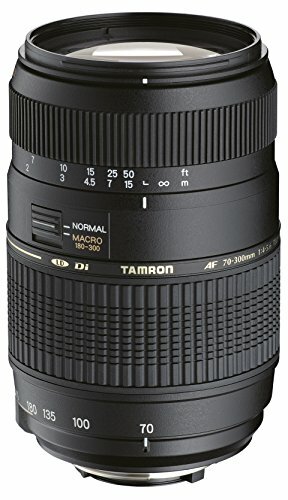 High-end Optics (type 24-70mm f2.8) weighs 800-900 grams. If your thing is night photography, you should consider a DSLR camera, an opening objective of large diaphragm and a remote trigger to cancel trepidation. 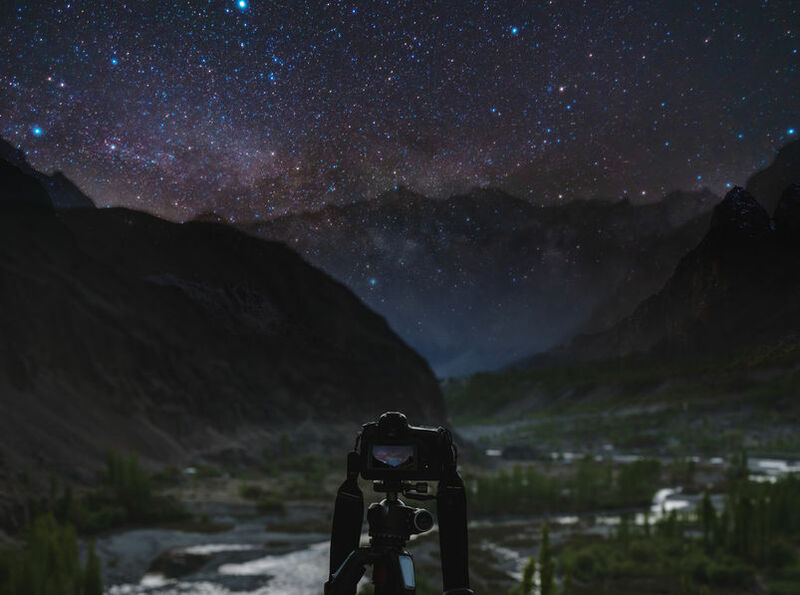 Both for landscapes to night photos is vital to have a good tripod, carry extras batteries and flashlight, but please note that your photography equipment can not affect your security as a hiker. The first thing is to have fun during your trip, because despite the very good photos you can take, you cannot do it if you are in a fix.